"There is no heaven on Earth, but there are pieces of it" -- Jules Renard. 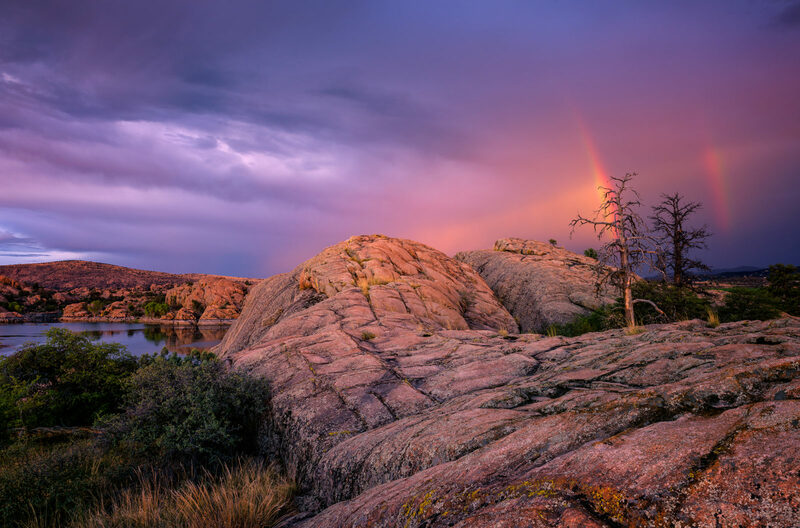 Another image captured on a recent summer evening with a partial double rainbow in view of the Granite Dells. Glassford Hill is in the distance on the left.